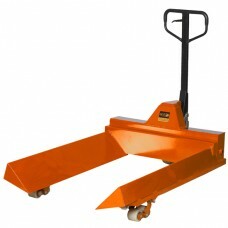 Record BFRH Reel Handling Hand Pallet Truck. - Designed for carrying horizontal transport loads such as rolls, reels, cable drums etc. 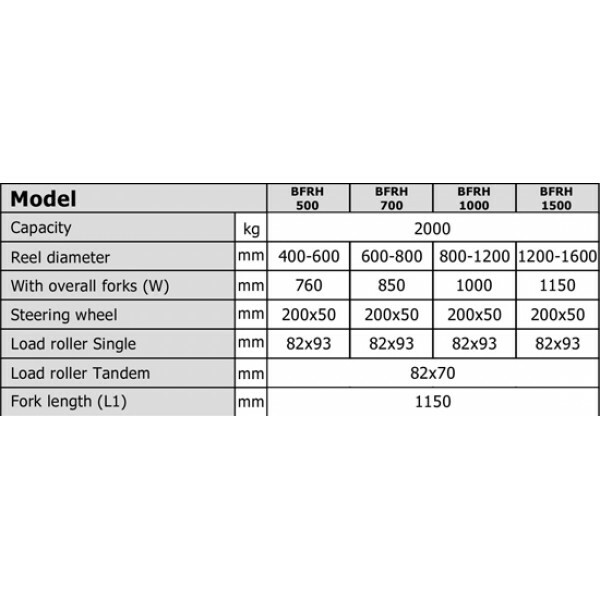 We can supply special/bespoke to any fork length to suit reel size.